A business person is investing a lot on Facebook advertising. But the question is are you happy with this result? What if I said that I can make you happy with your real estate business effort that you never being earlier? 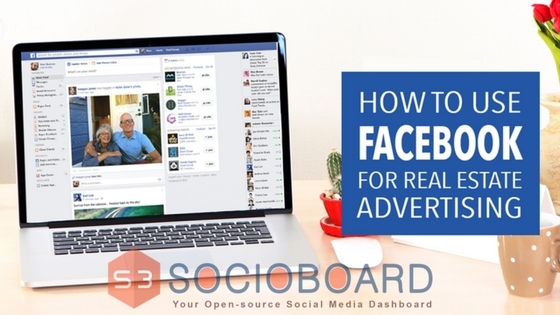 Our team socioboard is an expert in generating thousand of leads for your business, we have tested thousands of ads and run thousands of a marketing campaign on Facebook. Our effort in marketing laboratory discovered a true strategy for successful marketing of your real estate business through Facebook. Our expert will analyze your business quickly to generate leads. We perform our work with a combination of Facebook ads, follow-up system, lead capture systems, database and landing pages for your business website. We don’t bluff. We have done multiple types of research on our strategy and that’s why we are sure it will work for your business. And our marketing strategy is easy to adopt, cost efficient and the more important it is effective. And the rest depends on you how you execute the strategy and framework generate leads for your business. In the present day, it is critical to understand and acknowledge that the value of social marketing is still not exhausted as we moving to 2017. Our most the customer are in the social media landscape and this the field where you can gain more profit for your business. But if the marketing strategy you are following is not good you can’t generate a result in 2-3 years. How to execute your marketing strategy is the main thing which is not taught my the present mentors. They still follow the old path of advertising the product like cold calling, door knocking, print ads and so on. That strategy will take a year to reach your business on your defined goal, but social media marketing can produce a result in matters of days. You must hear about the expression of teaching surgery, see one, do one, teach one. We will make you understand how to market on Facebook. We assure you that after our expression of teaching you can easily handle your marketing on Facebook. Even you will learn so much from us and easily teach your other partners in the business the same. This is the first step of us for you. Facebook offers their users, it’s own call to action button like Book Now, Launch App, Contact Us, Shop and much more. We found that call to action button is important to boost your post, but a call to action which bring your customer to your own business landing page from Facebook is more important. Because from your business landing page they can learn more about your business and product. So boost the post which contains external link to your landing page. Likes for your brand page on Facebook will increase your bankroll. We suggest you to not invest time and money on increasing the awareness of your page among the people. 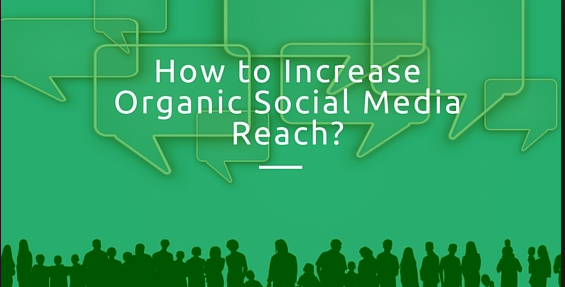 Always promote your page to generate leads for your business not to increase the like count. Your main focus is to collect data about your customer like names, their emails, phone number and much more. Facebook helps your business to get a lot of exposure. Especially when you are using yelp platform. Yelp platform makes it easy for you to target local businesses and increase your basic presence on the internet and help you to get more engagement for your advertising. The main goal is to generate leads for your product sales. We have our own system to manage of leads for your sales. In business, most important things are to understand whatever the effort we give our main aim is to convert that effort into leads and lift our business to a new height. This strategy is same as a 1st strategy that we discuss on the top of this article. Most important is to bring people from Facebook to your business page. We will help you to send customer from to your main website rather than your campaign page. And You must remember you have to bring people to your business website not only to give information also to generate leads. So it is important to add a call to action button that allows you to capture information. Targeting is the process in which you do define your ad in front of your audience. After that, it is all about targeting your audience step by step. You must know for the fact that Facebook allows you to target those people who like this app. Targeting people implies the increase in like and they will be interested in downloading the real estate app. The more people download the app, the more you lead. If you are making the entire process in a right way, then Facebook can increase the attention of your audience with a minimal investment. No need to mention that you must include the event details like date, time, location and invitation photographs, it is obvious. An advantage of Facebook is, it is used by a huge crowd. So if you are using this app, then you can be able to tie up with a huge crowd and your campaign process can be done in a much better way. You can share your events individually and with groups also. It implies time saving and less investment. This is far better and easier than the traditional way of marketing strategies. Facebook provides some magnificent video features from which you can take advantage to make more leads. You can upload videos related to your ad. You can also make live videos and can tag different people to whom you are interested in sharing. A video can explain a thing in a better way than a strategy. So it is better to make a video related to this. So that your audience can understand your purpose in a better and wise way. If you want to use Facebook to engender leads, then you need to drive traffic from Facebook. This statement may be heard by you several times, but it is important to repeat more than once. So it is important to make a strategy in such a way that you can be able to reach your destination easily with a high value of traffic and low barrier to access. Targeting something is like setting up the parameters within the particular ad campaign to get a safeguard which reaches the proper audience. The success of getting good traffic and Facebook campaign is based on the way of identifying your audience in a better manner. Select the exact objective of your campaign. Give an eye-catchy name to your campaign. It is important to follow the each and every step and guidelines. Maybe it seems like a no-brainer, but sometimes silly mistakes become a root cause of the bigger issue. So it is important to follow the steps from the initial stage. These little things can be relevant to the audience. Location: – Select your city. But keep in mind one thing that the radius of your selected location should be within 10 miles. That means it shouldn’t be much wider. Start with a small area and make it wider. Age: – Choose the range that includes the average age, so that they can acquire property inside the location. Your targeting efforts must be explained in detail. The target and the campaign must be explained briefly to the audience. The focus of each campaign and describe it thoroughly. Enhance your ads and campaigns. To reach this, Facebook is the best option. A Facebook ad can create 5-15 leads per day. But the thing is you have to do it in a proper way then only you will be able to reach at the target. Choose conversations to make it easier. Place the ad at a proper time. Don’t place your ad while the social media is busy with the concurrent ads on different social media. It won’t perform well. Different sites use different theories and algorithms. It is not necessary that what works for one will not necessarily work for others. Wasting of time, dollars and energy become common in multiple platforms. So it is also important to check out the proper time and place where you should place your ad. Best Real Estate Marketing Strategies for Facebook. Facebook has been a great way nowadays to gather information and generate leads. One of the best tactics is, to land the pages together and see the difference. In this way, one could easily get the odd information’s out from the collected data. Before you start to collect the information is a really widespread social platform like Facebook, you first need to know the benchmarks from where you take out your required data. You can do it in either way by creating landing pages. Creating a landing page through your Facebook posts is one of the best ways to promote your brand in the real estate world. You just need to create a Facebook post which could be appealing enough to drive your prospective clients to see what’s inside it. If your post will be good enough, they (clients) will register themselves to get the free reports that you will generate. A lot of people spend time on the Facebook to get through the post that invites them to have their opinions on the polls and to play various genres of quizzes. If you are tending to promote your brand, then create a Facebook post which invites the public to play the quizzes or take a poll. You can even ask the questions based on your real estate needs, to know the requirement & the mindset of your prospective clients. You got to be very transparent if you are using a platform which involves pictures and video access. You can create Facebook landing pages which lets your prospective clients see the pictures of the homes that you serve for them in the exchange of their E-mail registration. In this way, you will be getting to know about your actual marketing status and at the same time, and it will you promote your brand too. Don’t ever forget to showcase what’s nest in your brand. Create a post displaying the pictures of the home that you will list in the near future. This is one of the easiest ways to gain a lot of traffic to your landing page. You will get a list of the interested clients who want to undertake the property before it hits the market. You will be directed in connection with them and there will be no time wastage. Create various guide articles to explain the needs and acknowledges your clients on how to see in a house before buying, or where to buy a new house. Generate the leads by registration of all those interested parties who want to receive a copy of those guides via E-mail. As soon as they have registered themselves, you need to send a confirmation mail. Until the whole guide is transferred in their E-mail account, you can display a short period video which displays of how to use the guide for various purposes. If you are a common person and want to sell your home, but don’t know the right strategies to do things so, then you need to opt for our seller guide. In this guide, you will learn about everything about the selling of home on right price, and escaping that boredom, drawn out tactics that are time-consuming. This is the new year gift for you. We have seen the frustration of the people when they did not match the value of the company they want. But don’t worry, we are here to rescue you. You will show you the best strategies. How to build campaigns, where to focus to give efforts, and much more. Once you learn all the pieces of the strategy. You can easily grow and expand your business worldwide. The main motive of Socioboard is to build a strategy, Implement it and save money of the marketers. You can join our mailing list and receive the updates of your field via E-mail. You will be also received with the additional free content and the videos which will explain you about different new possible strategies to create a high traffic to your landing pages. The “ How to Do” guides, explaining about all the strategies & terms. Effective Facebook ads training explaining overall things about the post creation. Database building up E-mail & automation guides and the conversation guide. Proper targeting campaigns to reach to your client. NextHow to Win Online Marketing with Retargeting Your Bounced Audience? 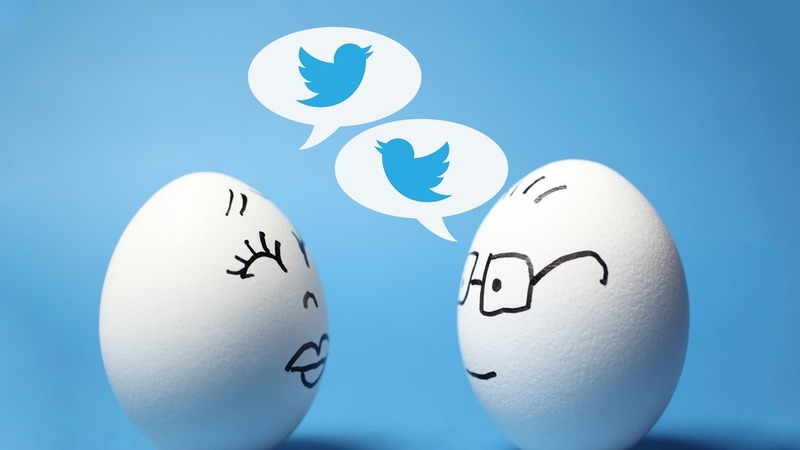 How to Use socioboard to Fuel Your Twitter Marketing Campaign? 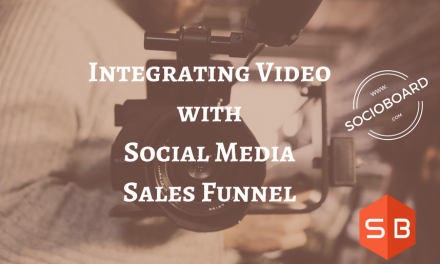 How to Integrate Videos with Your SMM Sales Funnel?